Former UA defensive end Jason Taylor will be formally enshrined in The Pro Football Hall of Fame Aug. 5, joining the 2017 HOF Class. A top NFL pass rusher for 15 years, Taylor is Akron’s all-time sack leader and is second in career tackles for loss and sacks in a season! Some of the first recorded oral histories of Jewish survivors of the Holocaust, long thought to be lost, were recently discovered among the archives at UA’s Drs. Nicholas and Dorothy Cummings Center for the History of Psychology. Jolene Lane will join UA March 29 as the UA's new chief diversity officer. She joins us from Teachers College at Columbia University where she has served the last nine years. Adkins, an Akron Law alumnus, was recently appointed to the University’s Board of Trustees, serving a term through July 2025. Two UA law students advance to the finals of the upcoming American Bar Association’s Student Client Counseling competition, in Norman, Okla., March 17-18. Men's Basketball, Women's Swimming & Diving, Men's Indoor Track & Field, and Women's Indoor Track & Field all earned the top honor. 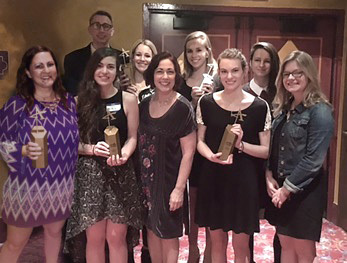 Students and faculty from our Myers School of Art won 10 ADDYs for design and advertising excellence. Jazzfest 2017 will bring two world-class performers to The University of Akron campus and stage. 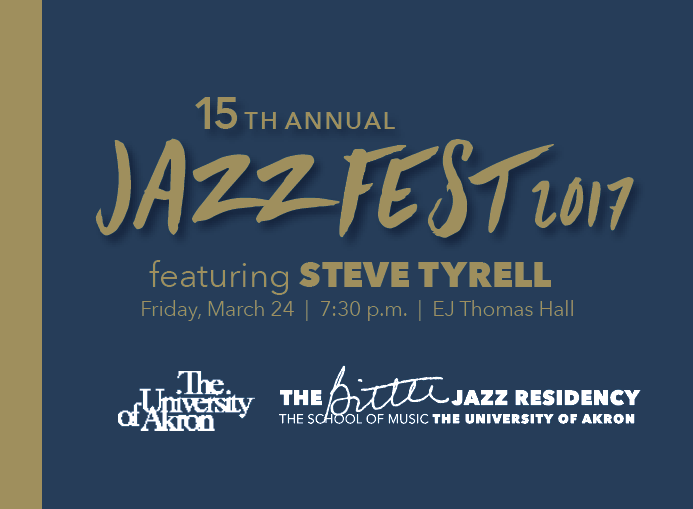 Nationally acclaimed singer and songwriter Steve Tyrell teams with world-class trombone soloist and Grammy nominated arranger John Fedchock, for a series of can’t miss performances over the four days.